Excellent anti-cold performance. Setting of LBSize is very good. Everyday wear does not purchase except M, but only winter Outer has failed in M, M can not wear it inside, on the other hand Panther DOW 's DownOuter does not even have to wear it, but cold feeling is transmitted on cold days To come. Even in LL, the chest becomes a bang when it gets inside, and if it is 3 L, the dress length and the sleeve length are chicken. This LB size setting is exquisite. Although it is used for commuting, there is no thing that the cooling sensation of the outside air is transmitted because it can wear it inside. It was nice to really buy. Extreme cold Spec. Anti-cold performance not ashamed by the name of Height 173 cm, weight 54 kg and choose L Size. Cold Spec. Even so, you need to wear MiddleInner, so it's exactly exactly like Size. Neck warmer (same extreme cold here. If it is combined with), since no wind comes in from the collar and sleeve, even if the outside temperature is about 4 degrees, it can run normally if it is an ordinary road. It feels warm even if the sun is out. If used in combination with electrothermal ventilation, you can run at outside temperature 0 degrees, but please do not worry about overblowing, freezing. Right There is a Pocket that puts Pocket tissue in the arm, it is very convenient to blow your nose even when a runny nose drips.. Used Tissue is put in Coft pocket of Left arm. Pads are not included, but I am putting D3O of Panther dough which I used to date. 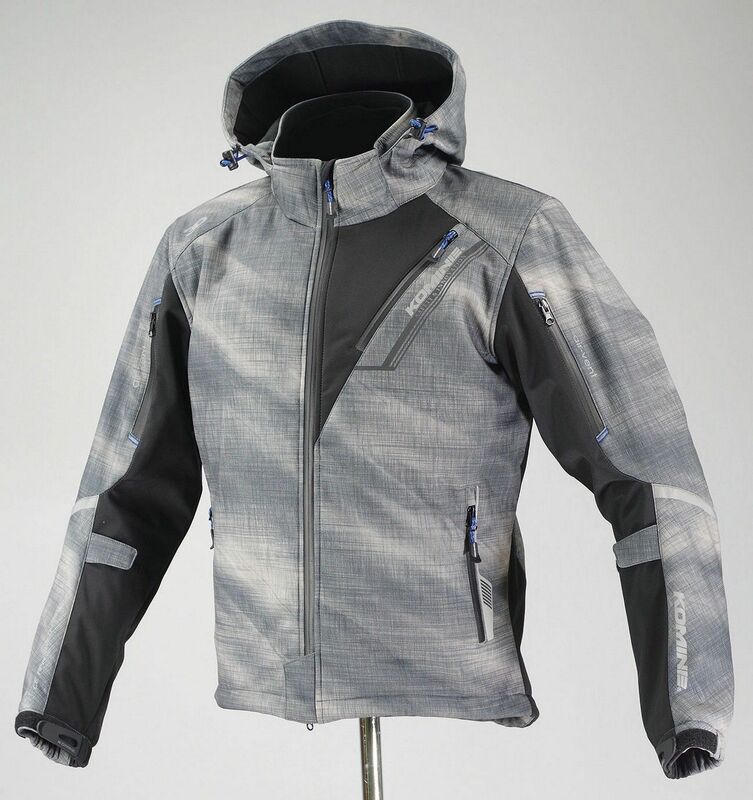 I think that Winter jacket which is currently on the market has the best cold weather performance. The price is a little expensive, but it is Recommendation for people who want to ride Motorcycle even in winter. Almost as expected. Height 177 ?, weight 63 ?, LL purchased with slightly thin body shape. I chose LL because Rafuro's products seemed slightly tight and that I prefer longs. It covers up to the waist. The sleeve will be longer but will also serve as usual, so this is a reed with this. If you want ExactlyFit, I think that L Size is OK.. Early morning commuting from Hiratsuka to Yokohama city (4-5 o'clock) doing. 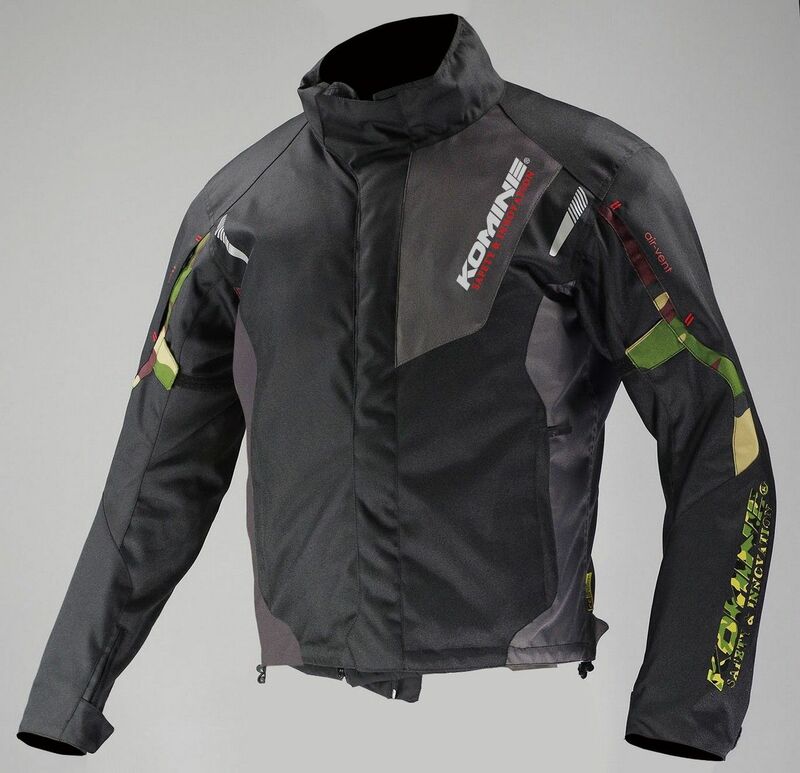 Until now it was layered with 3 sheets of Laflowo's winter Inner pasted on the Compact Rain Suit of the company and wearing the old Outer on top so it is a tedious task halved. Since Neck warmer is also equipped, if you compare only this one price with the price of three piles, three stars. Frigid cold Spec. It is advertisement, but if you attach electric heating Inner to this, it may be invincible. Since Outer is slightly softer than other companies' products, it will be subtle. I think that it is better to judge from looking at the real thing only here because it is a good price. Design is a design I wanted but ... Size intentionally purchased Large LL so that I can get thicker I wanted a Motorcycle Jacket of Mods Code Type, so I was satisfied with Design and cold weather but the Protector that came with it was too reliable so I used another Protector I have now Chest Protector purchased Komine 's Protector here so I will remake it so that I can remove it. "It is immeasurable strength" Until now, warm clothing for Motorcycle "high" "Dasa い" I did not use it because of the reason, but this time "high" I bought it and bought it. Result is "It would be better to buy this if you buy extra things." It was a product that I could say. 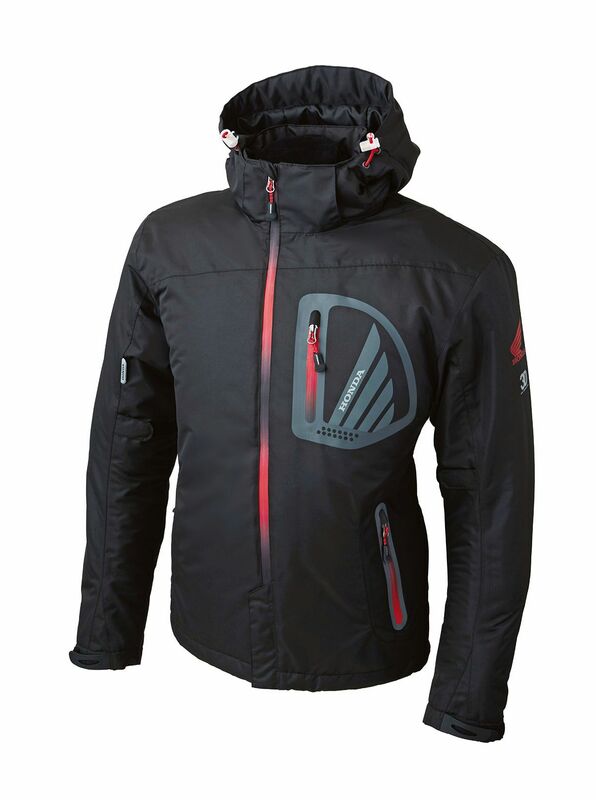 Net purchase cheap electric heat Jacket, buying the strongest shield which does not protect from the cold even from the wind, things such as Under coat's underwear or underwear I tried variously As a result, I solved it all with this one clothes. Although it is expensive, special products are well made. We strongly recommend purchasing purchase of anti wear clothes for Motorcycle so that it will not lose the cost of buying goods. I do not seem to have made progress Replace Komine's same line with old product. Since the basic composition such as Ventilation and Protector has not changed, it should be able to be used without discomfort - - - I was thinking, but it changed quite a lot. Initially Winter Inner. In the old product, the whole was NylonQuilt, but in this product the sleeve was changed to FleeceMaterial. It is not so if you think that it got warmer, I feel the arm part is a little cold than before. It is regrettable that the fuselage part has a wide Cover range and it is warm. Since Fleece's raised hair is caught by Sweater and so, it takes a little time to wear it. It is better to use NylonMaterial like before. The collar part is higher in height and the windproof property is increasing. In addition, it was easy to use a thick Neck warmer because we got a little room around the neck. Foreener was added to Outer 's cuffs which used to be only Velcro in the past. Although it seems to be convenient as the cuffs are lightly tightened when you lower Fastener, if you further tighten it with Velcro from there too, the thickness of Fastener will disturb and a little gap will be available. To be honest, I do not need this. Although I am dissatisfied with the details, I think that Cost performance is high as a whole. Design and COSPA good 170cm-72kg. It is my husband's stomach. I wanted Size XL, but because all ColorSize XL was sold out, I bought 2XL. As a result, it was in a state where there was a little room in wearing the cold winter Shirt and Trainer. It is planned to change Spine Protector to those of CE Standard, so it may have been exactly 2XL. Small rain occasionally in late November, from the vicinity of Hakodate mountain ski area in northern Shiga Fukui (Wakasa) I drove out and touring. It was truly cold when I was driving on an exclusive road on a car, but it was sufficiently cold weather performance other than that. I think it's good.. I bought it because the price was lower at Sale. I think that the cold weather performance is good. Good texture. Large Origin is a Komine product. It is good for dressing inside while wearing in Just size, but if you wear it inside, if you put Chest Protector it seems better on 2Size. Especially the better one of Thailand.